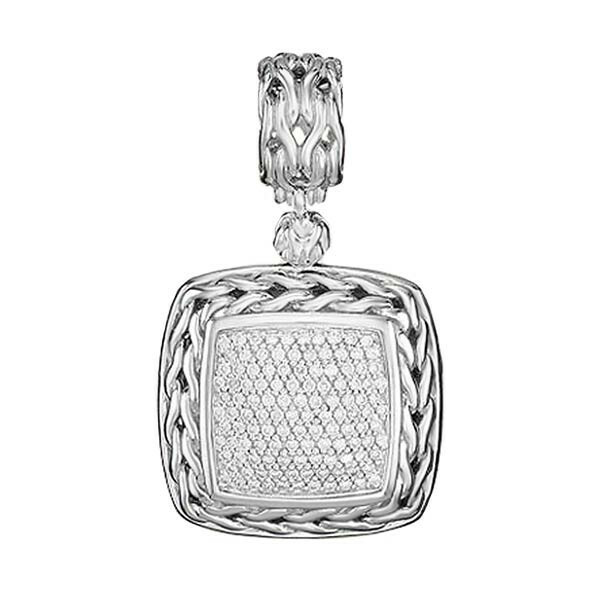 This timeless square pendant is from John Hardy's Classic Chain collection. The pendant is made from sterling silver and features the classic chain motif along the edges. Pave diamonds decorate the center of the square pendant to give the piece a radiant shine. Pair it with a John Hardy chain (sold separately) to complete your look.